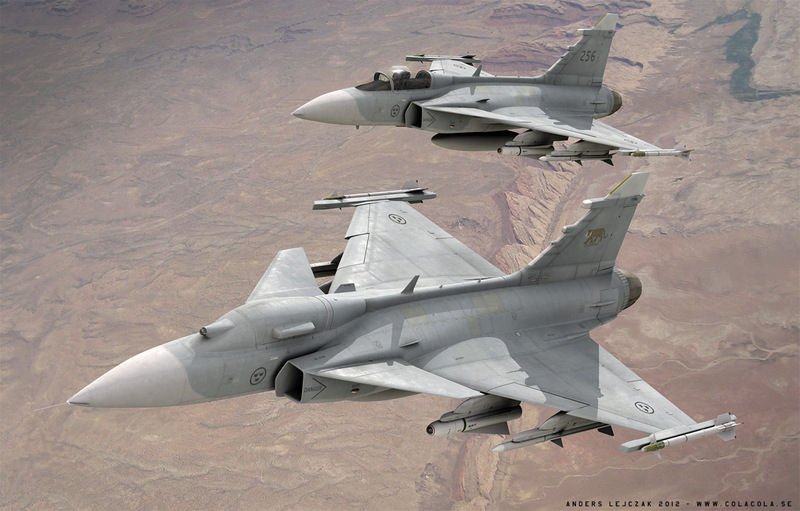 Saab CEO Håkan Buskhe revealed this week that the company is exploring the idea of an Optional Manned Gripen (OMG). While believing that manned operations will still be needed for at least the next 40 years, Buskhe also recognizes that many “dull and dangerous” missions could be performed better by an unmanned aircraft. Using an OMG for such roles rather than acquiring another type of aircraft would, in essence, halve the logistics costs. OMGs could perhaps operate in a formation under the control of piloted aircraft. Saab (Chalet A278, Static D146) head of aeronautics Lennart Sindahl outlined that an iterative approach would be adopted to develop optional manned capability. This would begin with basic altitude hold and waypoint navigation before increasing in complexity to the point where an unmanned Gripen could operate tactically with reference to a manned lead aircraft, or even undertake complex beyond visual range maneuvers. As with the planned carrier-capable Sea Gripen, further development of an OMG would require a customer to come on board to support the design and development effort. The new managing director of Eurofighter said here yesterday that that the company must become leaner, more flexible and take decisions faster. CEO Alberto Gutierrez arrived 10 days ago from Spain and Airbus Military, where he was head of operations. This week’s news from the partner countries concerns the Meteor Bvraam. 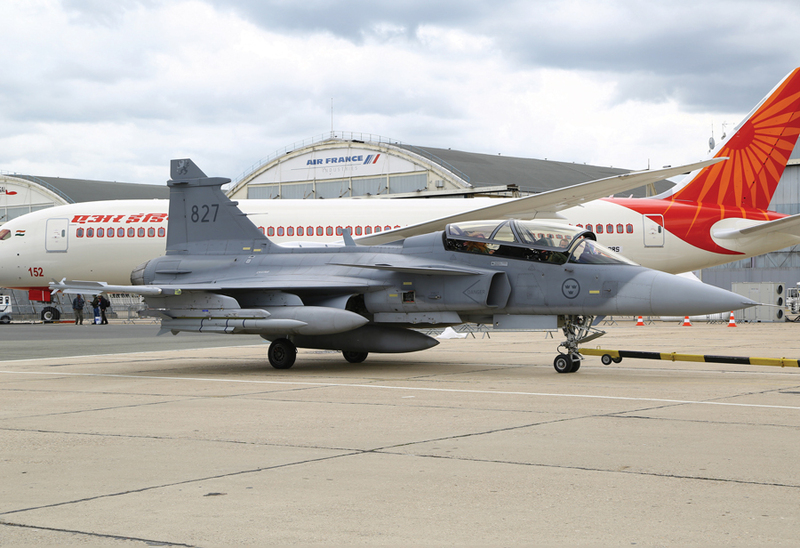 On May 31, Germany became the last of the four to sign a production contract with MBDA, and Eurofighter signed a Meteor integration contract with the NATO Eurofighter and Tornado Management Agency (Netma) here at the Paris show. The partner air forces will go operational with the top-of-the-range air-air missile in 2016-17, according to Gutierrez. The new boss said that Eurofighter (Chalet A262, Static D126) hopes to capture 25 percent of nearly 1,000 combat aircraft that are projected to be bought in the next decade. The current sales campaigns are in Korea (40 to 60 aircraft, best and final offers submitted), Kuwait, Qatar, and Malaysia. U.S. government procurement officials issued a “much improved” report on the state of the Lockheed Martin F-35 Lightning II stealth fighter program last week. The Pentagon’s Under Secretary for Acquisition, Technology and Logistics Frank Kendell said he was cautiously optimistic about increasing the production rate, although the flight test program was still only 40 percent complete. The focus is now on sustainment, Kendall said. “We’re attacking the life cycle costs and looking hard at bringing in competition,” he added. In yesterday’s F-35 briefing here, Lockheed Martin v-p of program integration Steve O’Bryan said that the test program is now on schedule, following the revisions three years ago to what he admitted was previously “an over-optimistic plan.” The Block 2B software that provides initial warfighting capability was now in flight test. The first-life structural tests had been successfully completed. “We’ve done 4,500 flights and 8,000 hours, and 50 percent of these have been in the last 12 months,” he added. Further, “we’re on path to achieve an $85 million unit recurring flyaway price for the F-35A by 2020,” he reported. Here in Paris, Lockheed Martin signed a contract with AIM Norway for horizontal and vertical tails and inked an MoU with CAE for F-35 future training solutions. Level 1 partner BAE Systems signed a deal with Magellan Aerospace for horizontal tails and with Terma for carbon fiber tailskins. Two further signings with Dutch industry were pending as AIN’s last Paris Air Show News 2013 edition went to press.